The phrase “super group” gets bandied about quite a lot these days, and they give rise to different types of beasts. 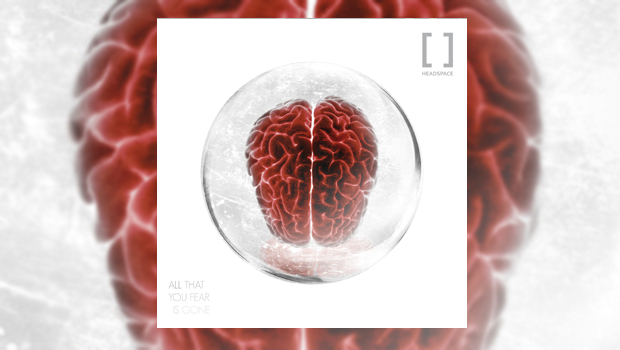 Headspace is a group of talented musicians who appear to have come together with a common aim, to create great music without the trappings of the rock star ego. This was obvious on their highly acclaimed 2012 debut release I Am Anonymous which set out their stall and proved them to be a genuine band. Headspace formed in 2006 featuring Damian Wilson, Adam Wakeman, Lee Pomeroy, Peter Rinaldi and Richard Brook. Since then Richard decided that he could not give the band the attention it needs due to family commitments, so a replacement was found and he has been replaced for this second album by Adam Falkner. I was fortunate to see Headspace live at the Summer’s End festival in 2011 where they put in a very impressive performance. This encouraged me to invest in their first album and I was not disappointed. All That You Fear Is Gone has a conceptual strand (from Wilson) running through it “looking at the group’s inability to control the individual, it’s about governments, big business and religion and smaller groups we form”. Due to the individual members having a lot going on in their careers this album has been developed over a long period of time, each one recording separately, but despite this there is a great band feel in the production, by the band themselves, and the mixing of Jens Bogren who also worked on the first album and has also done a good job here. On first listen some of the tracks appeared to be a little sound dense, but on repeated listens it reveals so much more and you begin to hear the space that allows the individual instruments to shine through. The album is a fine example of rock; hard at times, melodic at others, dramatic and dynamic in parts. All of the participants put in excellent performances, from Wilson’s vocals to some superb interplay between the guitars and keyboards, each taking the lead when needed and supported by the other. This is all driven along by some great bass work and drumming. They do seem to have found a sound all of their own, there are influences there but the only time it is obvious to me is on Polluted Alcohol where the acoustic guitar intro has a Led Zeppelin vibe to it, reminiscent in style of In My Time of Dying. The start of this track could fit nicely into the Breaking Bad soundtrack, and I mean that in a positive way. There is real variety on All That You Fear Is Gone, Borders and Days is a beautifully melodic song and the title track features Pete on acoustic guitar, starting out in an almost Flamenco style joined by subtle keyboards from Adam before the vocals come in. This gives way to piano and guitar, Damien’s vocal joining again as the track moves to its conclusion in what is a well written and constructed song. The album bows out with the 10-minute Secular Souls, beginning with a slow epic build of barely retrained power. At around 6 minutes the riffing begins accompanied by swirling organ, bass and drums picking up the pace and driving the song forward. The foot come slightly off the pedal with some great guitar from Pete to take things to a close. All That You Fear is Gone is the second part of a planned trilogy, and Wilson states that he already has the idea for the final instalment. Based on this offering and their first album it will be an interesting listen. This one has benefited from repeated plays as there is real depth here, along with excellent song writing and performances. The album is available as a special edition CD Digipak, a gatefold black 2LP (including the album on CD) and as a digital download.